removal of wastewater and sewage from fixtures such as toilets, baths and basins. Viking Plastics has been manufacturing custom made DWV and Storm Water PVC pipe fittings and junctions for many decades. Well know for fast turn around times, Viking Plastics offers lightweight, durable products that are fabricated to the highest standards. Stuck finding a solution for a tricky installation? 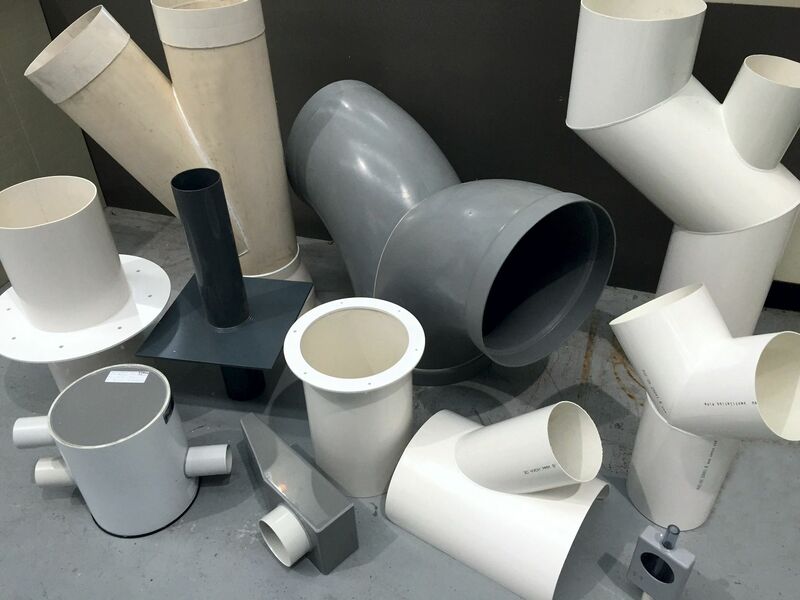 Viking Plastic’ custom fabricated PVC pipe fittings may just be your answer. Viking’s products are fabricated in Melbourne and delivered Australia wide. For further information you can request a quote, or call Viking Plastics on 03 9587 2297.